Frank, an 82 year old man comes to the emergency room after a fall. He has multiple injuries, with bruises on both sides of his face and a hip fracture. What happens next, including the questions his doctor asks, the physical examination, and the types of images and laboratory tests done, can be critical for Frank, and all elder abuse victims. Each year, many older adults come to an Emergency Department (ED) with injuries purportedly related to a fall or other accidents. However, we know that many of these injuries are the result of elder abuse and neglect. This ED visit presents a key opportunity to detect elder abuse, collect evidence, make a report authorities, and initiate appropriate interventions, yet emergency physicians receive little elder abuse training and have few tools to assist them in detecting abuse. 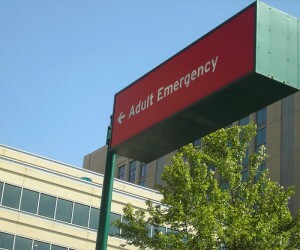 Identifying elder abuse victims in a busy ED can be very challenging. Older adults commonly come into an ED with injuries from falls or other accidents, and it is difficult to distinguish whether an injury was caused intentionally or accidentally. Older adults and/or their caregivers may not be truthful about the circumstances surrounding their injury. Though suspicious injury patterns (such as bucket handle metaphyseal fractures and retinal hemorrhages) exist to assist ED physicians in identifying child abuse, no analogous patterns have been described for older adults. The ED visit provides time where a victim can be interviewed alone and can be safely observed interacting with loved ones. It also provides a time where providers can collect evidence and develop plans for patient safety and care. ED physicians routinely provide care for victims of violent crimes, including intimate partner abuse, and there are protocols in place to ensure the safety of the victim, staff members, and visitors. In addition, the physical layout and the providers’ familiarity and comfort with these challenging situations makes the ED an ideal location for assessment of elder abuse potential abuse. ED providers, who typically evaluate a patient soon after an injury, may also document critical information which is difficult to gain after admission. This includes photographing injuries and clothing, performing laboratory tests to indicate dehydration and malnourishment, assessing mental status and decision-making capacity before medical interventions, and interviewing emergency medical service providers who have visited the patient’s home. ED providers may also ensure that an elder abuse victim is, at least temporarily, removed from an abusive environment through a hospital admission. This admission gives in-hospital providers, including social workers, the opportunity to investigate the case in greater detail and identify appropriate interventions to ensure future safety. Hospital admission may also provide respite for an overwhelmed caregiver. Despite a potentially significant role for emergency physicians in elder abuse detection and intervention, there is currently little contact between ED providers and elder justice professionals. Emergency department physicians at Weill Cornell Medical College are trying to change that. In collaboration with colleagues 1, Tony Rosen, a fellow in the Geriatric Emergency Medicine program, and a recipient of a GEMSSTAR National Institutes of Health/ National Institutes on Aging grant are working to connect elder justice and emergency medicine. The team’s work focuses on providing physicians with the tools they need to distinguish elder abuse from accidental falls. They are conducting an elder abuse case-control study in partnership with a large urban district attorney’s office to help elucidate injury patterns in physical elder abuse. There are many ways that elder justice professionals can work with emergency physicians to improve the detection of and response to elder abuse. 1. Educate ED providers about how to effectively document a patient encounter where elder abuse is suspected: District Attorneys’ offices and other programs may give ED providers details about appropriate information that should be collected. Often, providers want to be helpful but don’t know what information is useful for prosecutors or other professionals. 2. Provide training about elder abuse and invite ED providers to MDTs: Elder justice professionals can work with their local hospitals, medical schools, law enforcement, and other victim services groups to provide training for providers working in emergency settings, including emergency medical services. Another great educational opportunity for providers would be to attend an MDT as part of their regular training programs or in response to a case in which they are involved. MDTs can provide physicians and other medical providers with a better understanding of elder abuse complexities and how they can assist in the response. This may be particularly helpful for emergency medicine residents, who are at the beginning of their careers. 3. Reach out to ED leadership to coordinate reporting and response: Professionals can work with the ED leadership (head of the department, head of nursing, etc.) to identify the best ways to communicate with physicians and other providers about abuse victims. Given that ED physicians do not work 9 to 5 business hours and typically see patients only once, professionals should work with the leadership to determine the best way to partner. This could be expedited by encouraging geriatrician Multidisciplinary Team (MDT) members to contact their colleagues in emergency medicine to build relationships. 4. Strengthen relationships with hospital social workers and geriatricians: ED providers are the first care team a patient sees, yet they rarely work alone. Hospital social workers and geriatricians often consult in the ED and work closely with this care team. Working to strengthen relationships with these hospital providers will increase access and coordination with the ED as well as benefit victims who are identified later in a hospital stay. Strengthening relationships among emergency medicine providers and elder justice professionals can allow providers to better serve victims. Are there other ways that you think partnerships can be built? Please share your thoughts in the comments section below.